If you are looking for a heavy duty tow strap for when you take your Jeep off-road Bubba Rope has you covered. 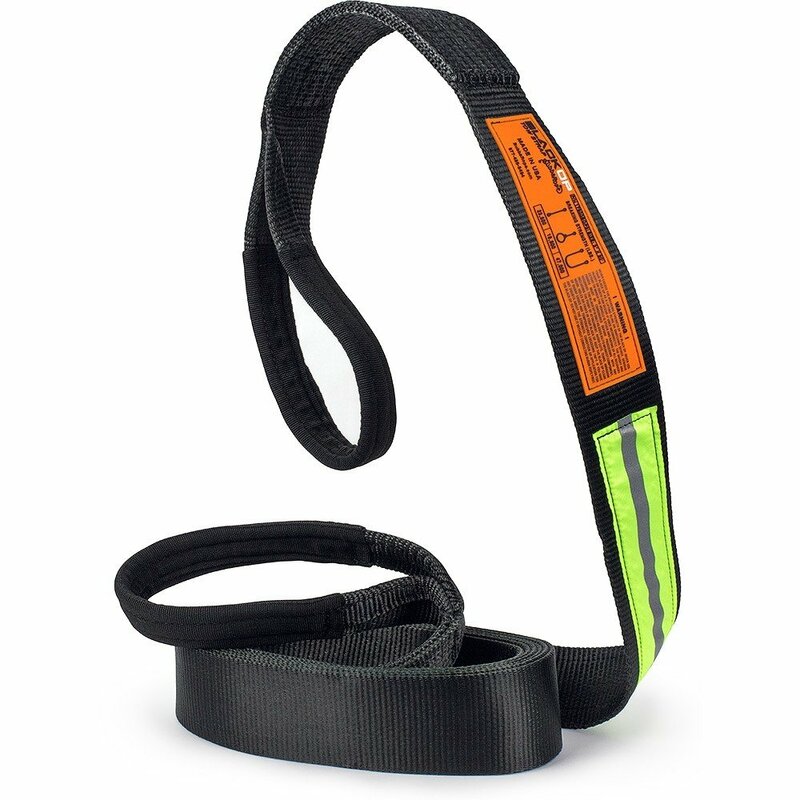 Their Black OP Tow Strap is made from bonded nylon thread with Cordura® eye covers giving you a strong more then capable strap to help you out in recovery situations. This strap has been thoroughly tested and best of all is proudly Made in the U.S.A.! Breaking Strength: Vertical: 23,500 lbs, Choker: 18,800 lbs, Basket: 47,000 lbs. 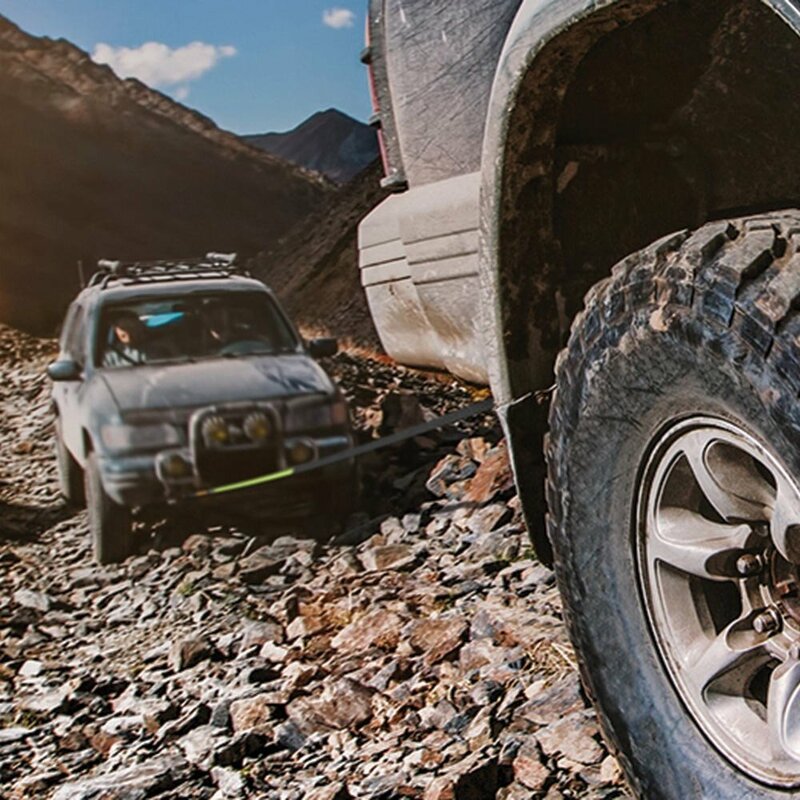 Safety When Towing: Made from nylon webbing that has a 6% stretch giving you a controlled shock absorbing towing experience. Sewn on reflecting tape patches to make it easier for others to see you towing in the dark. Storage: Comes with a mesh duffle bag for compact easy storage so it does not take up much room in your Jeep or your recovery gear bag.